A new biography of David Letterman has reminded me just how much I miss those nightly Top 10 lists of his. So much so that I thought it might be fun to put together one. Not the ha-ha, funny kind. But for no particular reason, a list of the coolest people I could think of. My cool criteria is simple. It’s based mainly on achievement. To make my list, nominees also have to have displayed at least semblance of empathy and kindness for people other than themselves some time in their lives, not always easy for celebrities. Honorary mention goes to the likes of Steve Martin, Benedict Cummerbach and Martin Freeman. Lots of others. Sorry, Kanye. Admittedly, my list is a bit top-heavy with entertainers and more than a little thin on women. I’ll try to do better next time. Like just about any list, it is more than a little subjective. It’s also subject to change at the drop of a hat by me. There’s no need to critic the list. Just make one of your own. 10. Lin-Manuel Miranda. Anyone who can bring history to younger people and hip-hop to older people AT THE SAME TIME must be cool. I suspect with his talent and versatility, he is just getting started. 9. Bette Midler. About the biggest thing on Broadway right now, starring in a revival of “Hello Dolly!” At age 71, not too shabby. She’s also been a lifelong activist. 8. Neil Degrasse Tyson. Someone who would be good to have lunch with. The author of the new, best-seller “Astrophysics for People in a Hurry,” a book so popular it sold out on Amazon.com. I know because we had to wait extra days for our copy. Anyone who can make science cool IS cool. 7. Willie Nelson. His choice in herbs may not be to everyone’s liking, but Willie Nelson has written simply some of the best songs of all-time, like “Crazy” and “Funny How Time Slips Away.” His career, creating music and fighting the establishment, has been perfectly consistent for decades. He gets extra credit for Farm Aid. 6. Jimmy Kimmel. Already the most likable of the late night comedians, Jimmy Kimmel’s level of coolness went through the roof for me a few weeks ago. Born with a heart defect, his son’s medical condition was still in jeopardy when Kimmel made an impassioned, televised plea for healthcare for every child. Cool. 5. Prince Harry. Not entirely unscathed by mild scandal as a young man, Prince Harry reached a new level of cool maturity for me recently when he pledged to devote the rest of his life to supporting veterans suffering from psychological injuries. 4. Barack/Michelle Obama. No doubt the most controversial of the list. Politics aside, if that’s even remotely possible these days, while leading the free world, they ran a scandal-free, stylish administration and raised two decent kids at the same time. Like another former resident of the White House who taught his colleagues how life-after-Washington is done, Jimmy Carter, I suspect the Obamas have a lot more to offer. 3. Paul McCartney. Another fine singer-songwriter whose music won’t be going away anytime soon. Think “Yesterday.” Still performing and recording at age 74. Also, he was one of the Beatles. 2. Al Franken. A really good comedian. A really good writer. A really good public servant. 1. Tony Bennett. This one doesn’t need any explanation. 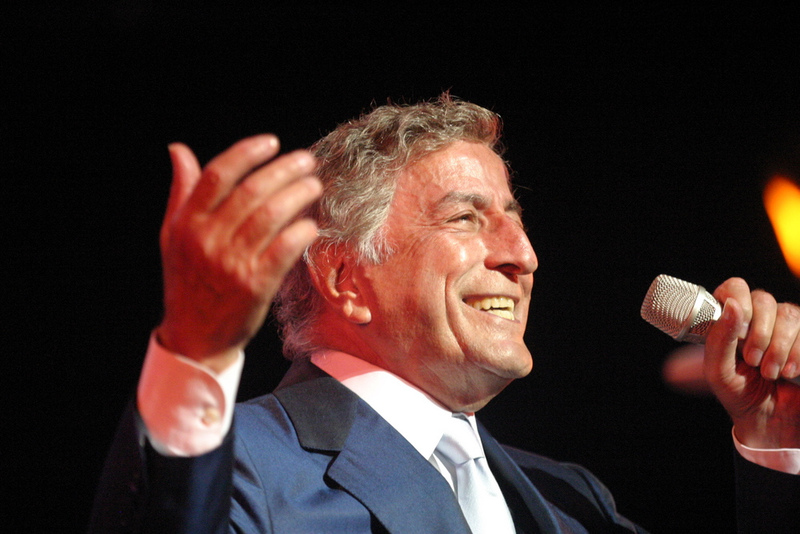 I once heard Tony Bennett described as the coolest man in any room he happens to be in. It’s true. I’ve been in one of those rooms. No one’s life is quite as charmed as it seems from a distance, but his may really be, filled as it is with singing during work hours and painting in his “down” time. Perhaps a state/local/regional edition sometime.